A tribute to my father-in-law and his roses. Today is the one year anniversary of my husband’s father passing. 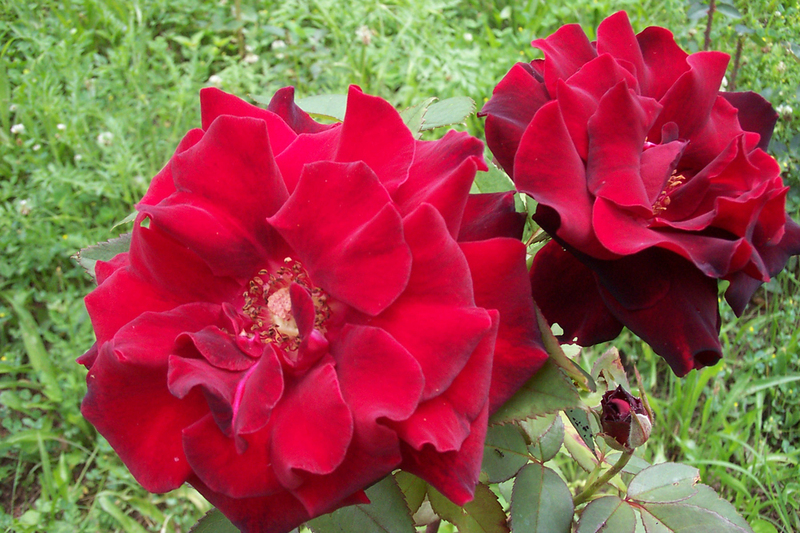 I wanted to post some pictures of his famous roses in his honor. At the time of his death he was maintaining 67 rose bushes planted on the hillside behind his house. He was one of the most amazing greenthumbs I’ve ever known and it is a tremendous loss to me to no longer have him around and his garden wisdom. He was a retired coal miner, school bus driver, former boxer and Vietnam Vet. To look at him, you would never guess what a love he had for flowers, roses in particular. 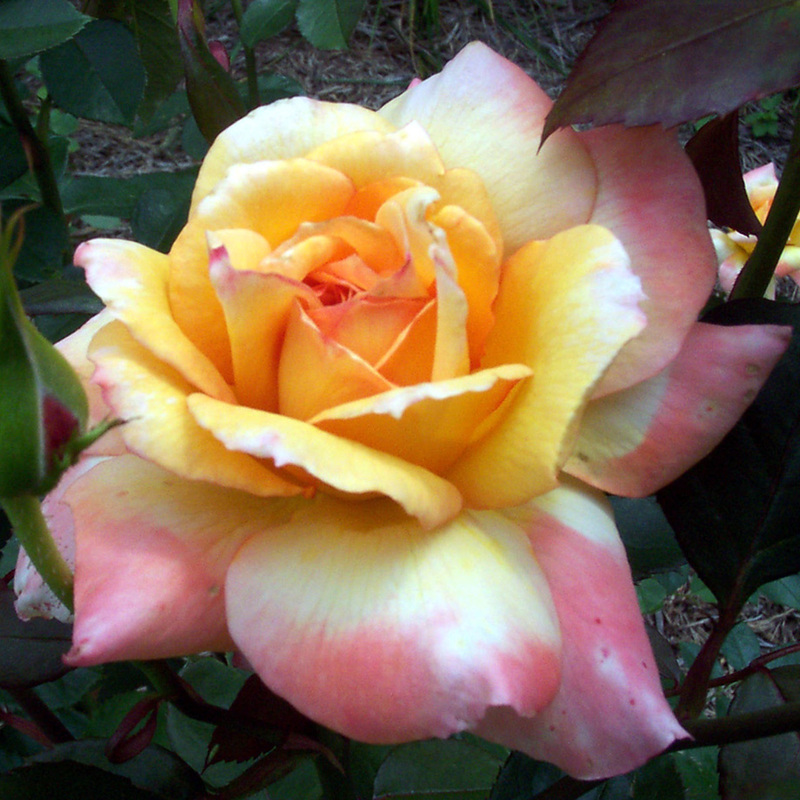 He tended to his roses almost daily, cutting blooms every other day to keep them prolific. 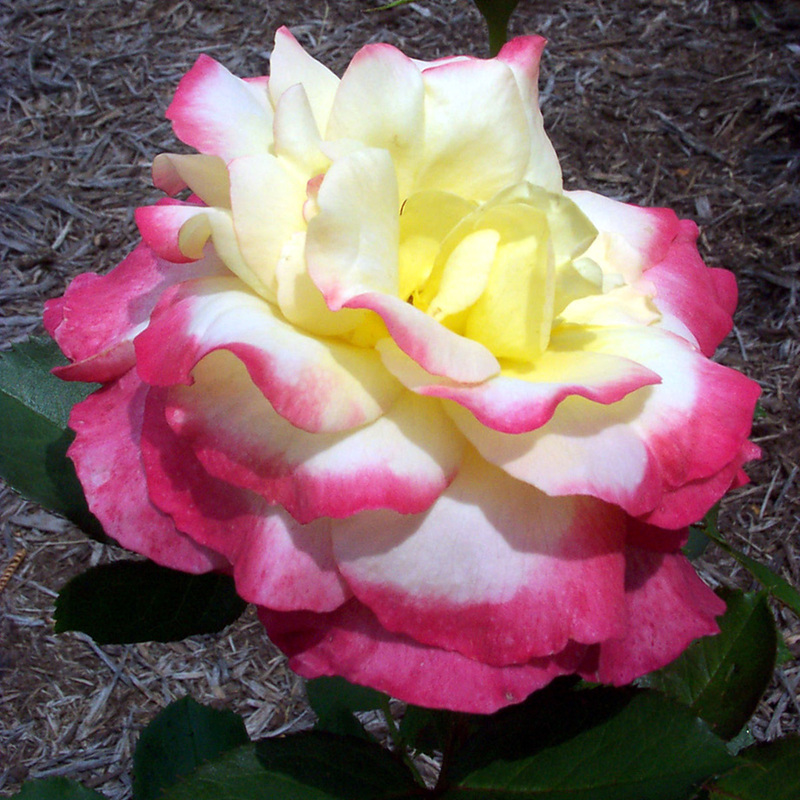 He did not like to use sprays on his roses because he wanted you to be able to smell them without burying your nose in pesticides. He faithfully picked japanese beetles by hand. 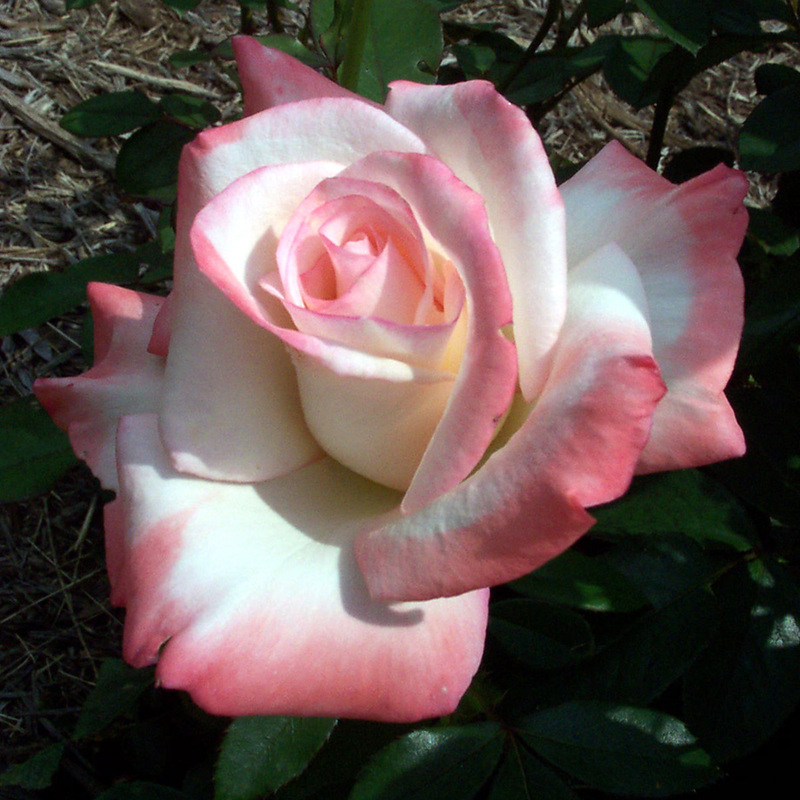 While he had many beautiful varieties of floribundas, grandifloras and hybrid teas, what he valued most in a rose was its scent. And it was his joy to give them away! 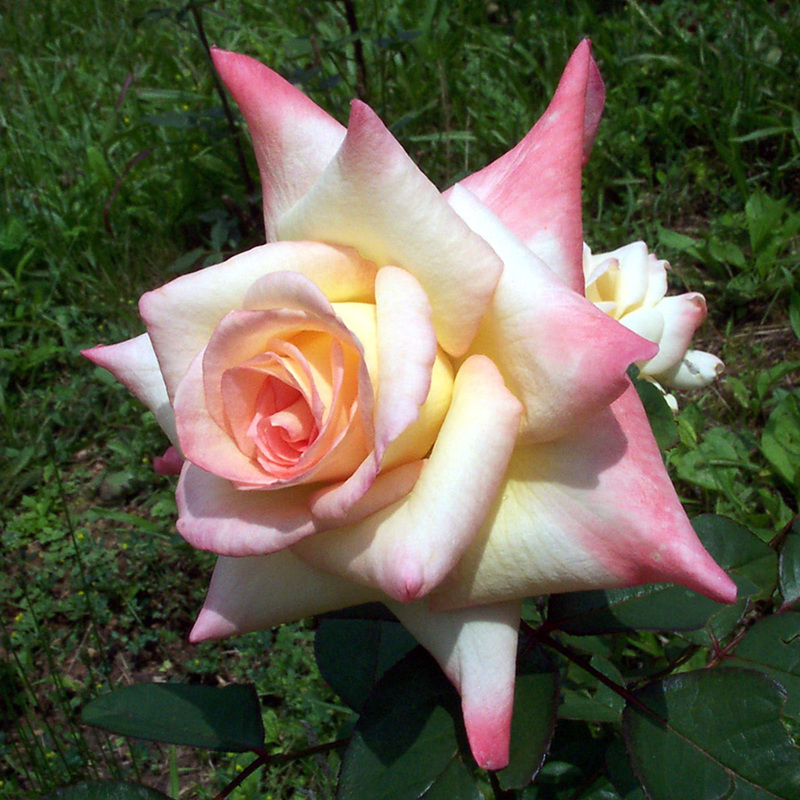 He was known around town for his roses and made many a lady’s day by unexpectedly presenting her with a bouquet. He’d give them to the nurses in the doctor’s offices, which he frequented often because of his health problems and melted the icy hearts of many a receptionist at the VA clinics. This was a hobby he took up as he was recovering from a brainstem stroke suffered at the young age of 50. It is known now that his exposure to Agent Orange is linked to stroke. He was such a big, strong, bear of a man and his doctors believe that his exceptional health at the time, in addition to early detection allowed him to survive this kind of stroke when most die from it. This time last year, after a successful week of ginseng hunting, he went to bed, had another stroke in his sleep and was gone. He had made an amazing recovery from the first stroke, but we knew the threat of another was always there. But we never expected to lose him so soon. He was only 57 years old. 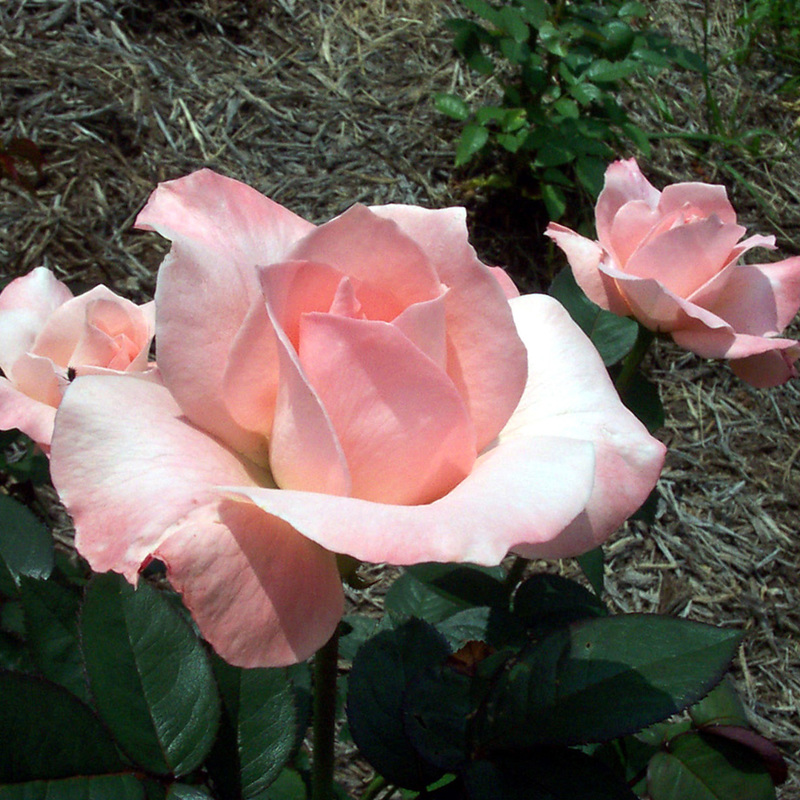 We still have his rose garden to help keep his memory blooming in our hearts. My brother-in-law does his best to give it the care it deserves. 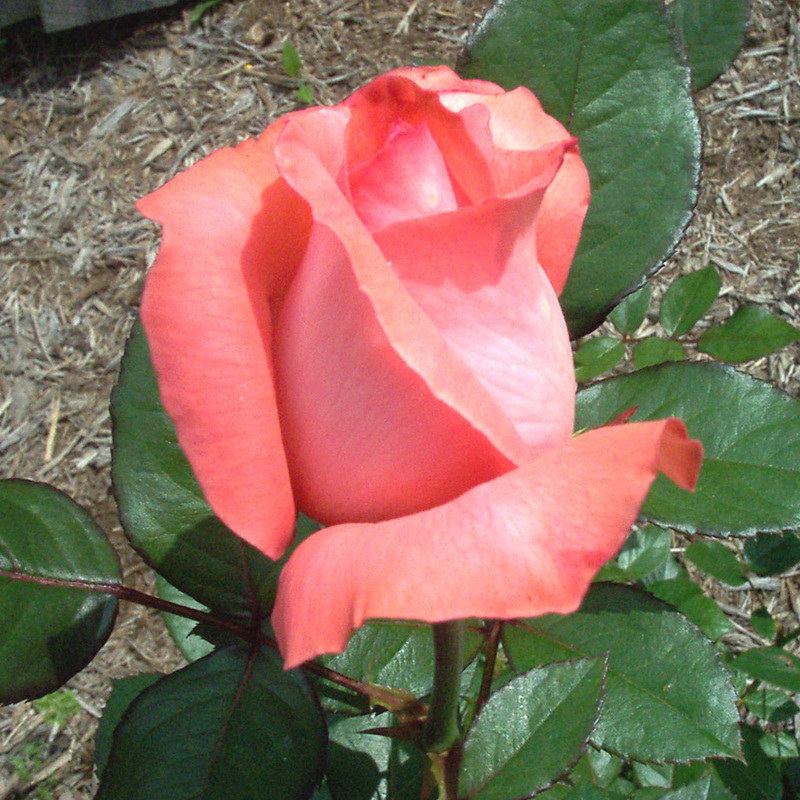 Here are a few shots of his roses from a couple years ago. I used these to make coasters for Christmas presents one year. My mother-in-law has commissioned me to make 7 more to give in memorial to his close family and friends. 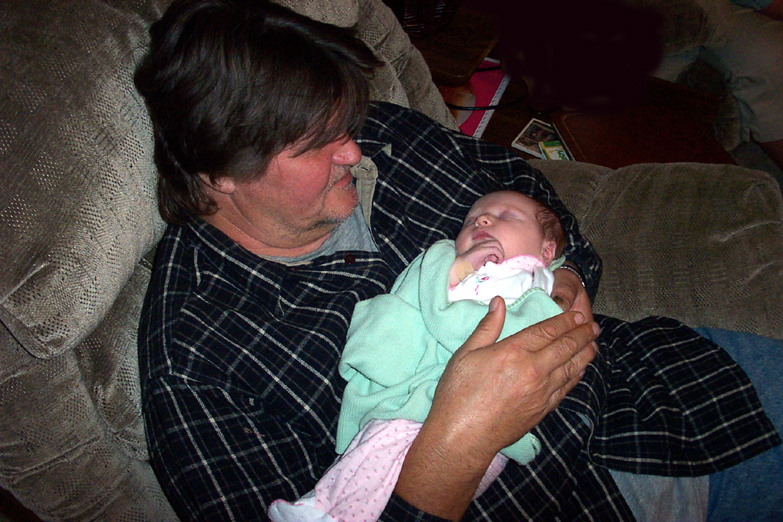 This last one is a picture of him holding his sweetest rose, my daughter as a newborn, who we named Ava Rose in his honor.